I am Joseph, Father of Yeshua. I come to this channel to strengthen you, our lightworkers, in all that is new. It is not an easy task you have. I can see how you struggle. I want you to know that I am very much with you now when you have the same task that I once had. You are in a time of divergence between two Eras of time and the new one is born, but it is still a baby, just as my Yeshua once was. I was the Father between two Eras and I gave birth to the new Era via Yeshua. You are all ME in your own way. This time Yeshua is born within you. You suffer birthing pains. It takes time to be born spiritually and to release what is worldly. Have patience, you are doing a big job – a very big job. You have it now exactly as I had it then. It was not an easy task for me to stand tall and support all that was new against the old thought patterns. Just as you understand what is needed in the future and are ahead in the thoughts I did so back then. I want you to keep the vision alive. Do not give up. Over and over again you loose the hope and fall back in the old structures and start to doubt. Do not do this. It is quite natural to fall, just as a small baby does. Stand up again, and again and again. All of a sudden you can walk into the new Era, into the ascension. You fall less often and think when you do so – “was this how it was in 3D”? Look at your own childhood. When you are older and wiser it can be hard for you to understand certain actions you pursued as a child or teenager. You need to look back at yourselves as a wise parent looks at its small child and guides it. Then you could not have done otherwise. It was that era’s prevailing energies and thought patterns. Now think new dear ones. Think new and think big and keep your feet on the ground. Give birth to my beloved son in your hearts. Let him out in every cell of your body. Make him to earth and make him to the world. Oh, I rejoice my dear ones. I rejoice and sing songs of jubilation when I see him live and rejoice within each of you. I, Joseph, have patience for you as an old Father. You are our seeds, you are our Era, you are our light. 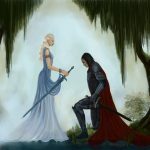 As the son you will shine and let your fellow man grow from your radiance. 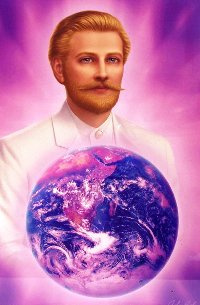 Joseph, father to Yeshua-Sananda, is one of Saint Germain’s incarnations. 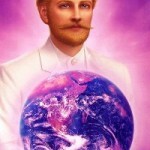 His last one was as Saint Germain.